Book review coming soon! – Write. Share. Live. 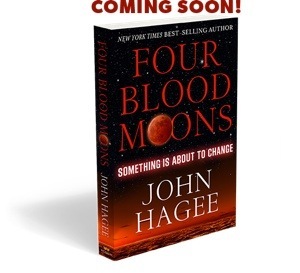 In this book Hagee discusses what these moons mean for us and Israel. Interestingly, the next round of blood moons all happen on Jewish festivals! I can’t wait to dive in to this book! Which is why I’d like to share it with two others. When the blog and Facebook page reach a combined 25 followers I will send a random winner their own copy of Four Blood Moons! The second book will be given away when we reach 50.